Earlier this summer, I wrote about how the world of SSL certificates is changing as they become easier to obtain and more frequently used. They are back in the news more recently with Google’s decision to add 45 top-level domains to a special online document called the HTTPS Strict Transport Security (HSTS) preload list. 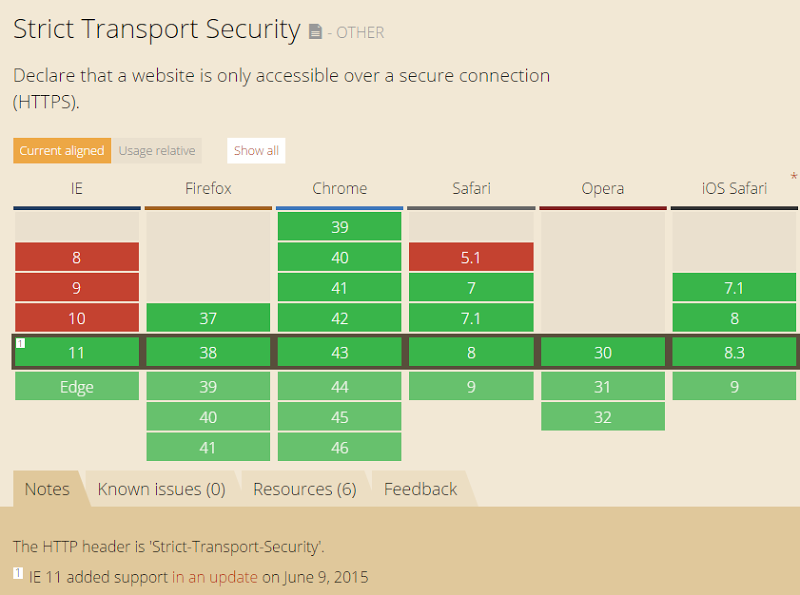 Why this is important, how this protocol is supported via various browser versions (see above graphic) and what it means to you if you own and operate websites, is discussed in my latest iBoss blog post. One of my favorite tech execs here in St. Louis is Bryan Doerr, who runs a company called Observable Networks that recently was acquired by Cisco. (Here is his presentation of how the company got started.) 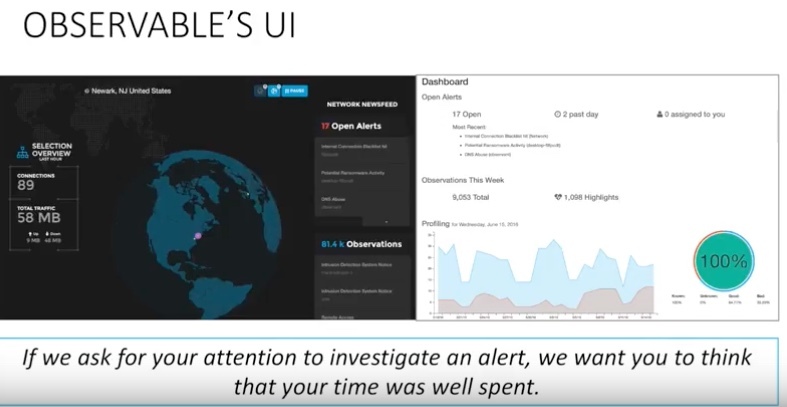 One of the things he is frequently saying is that if a piece of software asks for your attention to understand a security alert, we don’t want to waste your time. (He phrases it a bit differently.) I think that is a fine maxim to remember, both for user interface designers and for most of us that use computers in our daily lives. As a product reviewer, I often find time-wasting moments. Certainly with security products, they seem to be designed tis way on purpose: the more alerts the better! That way a vendor can justify its higher price tag. That way is doomed. Instead, only put something on the screen that you really need to know. At that moment in time. For your particular role. For the particular device. Let’s break this apart. The precise moment of time is critical. If I am bringing up your software in the morning, there are things that I have to know at the start of my day. For example, when I bring up my calendar, am I about to miss an important meeting? Or even an unimportant meeting? Get that info to me first and fast. Is there something that happened during the night that I should jump on? Very few pieces of software care about this sort of timing of its own usage, which is too bad. Part of this timing element is also how you deal with bugs and what happens when they occur. Yes, all software has bugs. But do you tell your user what a particular bug means? 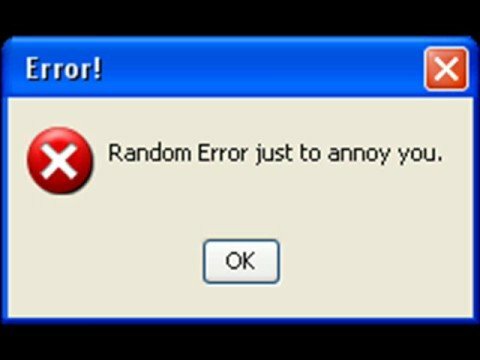 Sometimes you do, sometimes you put up some random error message that just annoys your users. Roles are also critical. A database administrator has a lot different focus from a “normal” user. Screens should be designed differently for these different roles. And the level of granularity is also important: if you have just two or three roles, that is usually not enough. If you have 17, that is probably too many. Access roles are usually the last thing to be baked into software, and it shows: by then the engineers are already tired about their code and don’t want to mess around with things. Like anything else with software engineering, do this from writing your first line of code if you want success. Finally, there is understanding the type of device that is looking at your data. As more of us use mobile devices, we want less info on the screen so we can read it without squinting at tiny type. In the past, this was usually called responsive design, meaning that a web interface designer would build an app to respond to the size of the screen, and automatically rearrange stuff so that it would make sense, whether it was viewed on a big sized desktop monitor or a tiny phone. If your website or app isn’t responsive, you need to fix this post-haste. It is 2017 people. How often do you search for yourself or your own business? This isn’t an idle curiosity, and it isn’t just because we have huge egos. There are legitimate business purposes. And I can thank my wife for the idea for this column. My wife owns her own business, an interior design firm. She has gotten some great help (not all from me, I should point out) about how to get to the top of the search rankings on Google along with other sites that her potential customers would look for her services such as Yelp, Houzz, and others. And as part of her SEO assurance program, she regularly searches for her company. Usually in her searches she finds her company at the top of the results page. The last time though there was an interesting twist: her company’s name had a link that led to another interior design firm in town. They had purchased her company name as a keyword for a paid ad. What? Little did I realize, there are folks in this world who would do this. Is it legal? Apparently, if you don’t own your name or don’t have it trademarked. (She doesn’t have a mark.) Is it ethical? I don’t think so. She was able to call the other firm and speak to their “web guy” and get this eventually corrected. At least, we think so. Searching now brings up her website with the appropriate link, just as it is supposed to be. But I started thinking about all the things that a small business owner has to deal with when they start a business. And before we get to talk about the online stuff, trademarks should be one of the first things to consider. When I started my business in 1992, I thought long and hard about a clever name but eventually just incorporated my own name. Then in 1995 I started writing a weekly newsletter and posting the columns to a website. This was the beginnings of Web Informant. A few years later, I got a call from Informant Communications Group in California. They had print publications such as Oracle Informant and some other tech pubs, and wanted to start one called Web Informant. 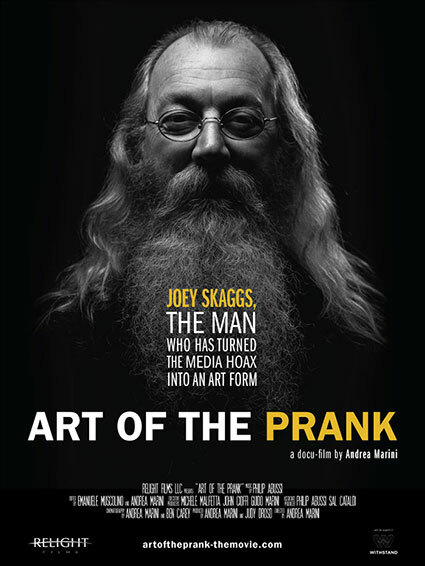 Before I did anything, I hired a lawyer and submitted a trademark application. This was fortunate, because a week later so did they. On their application, under first use, they stated some bogus date (in 1990, way before the Web was even invented), but luckily because my application was first I got the mark. It taught me a lesson: just because you came up with a name doesn’t mean that someone else doesn’t want to appropriate it. Today those guys in Calif. are still around, and they own the domain informant.com. Good for them, I guess. Just stay away from my domain! But the trademark is just one aspect about your branding and identity. There is the matter of your online presence. For most of us, we think about buying a domain name. It used to be so simple: back in the day when I registered my domain, you didn’t even have to pay hard cash money for your domain name. You just sent an email to InterNic, the only registrar at the time, and within a minute or two you got a confirmation note that the domain was yours. Back in those days, few folks knew about the Internet or domains or whatnot, and there is this amusing article by Josh Quittner in Wired magazine about how he got McDonalds.com and then tried to get someone from Hamburger HQ to understand what happened. He wasn’t altogether successful, and it took some effort on his part to get their attention. But once he did, he was able to engineer the transfer of the domain name back to McDonalds, with the proviso that they wire up a magnet school in Brooklyn. Quittner had written a piece about the school and how one of the teachers was using the Internet in her classroom. By then, Quittner had moved to Time magazine, and they also agreed to “kick in some shekels for a high-speed Internet connection for the school,” as he told me in a recent email. Before the upgrade, the school had been using a 2400 baud dial-up modem: they got the whopping speed of a 56kbps switched line. “I am pretty sure my current iPhone hits the Internet at three times that speed.” It was about the same time, in the mid 1990s, that I got my own upgrade in my office to a 128 kbps ISDN line: that seemed fast at the time. But enough about speeds and feeds. Let’s get back to branding. Today things have gotten much more complicated. When I got strom.com, for example, I didn’t even think about davidstrom.com, let alone strom.org or strom.whatever. Too bad for me. Then there are lot more top-level domains besides the classic ones of .com, .net, and .org. You have ones that don’t even seem like domains, such as: .travel, .biz, .rocks and .xyz, just to name a few. Do you just buy the dot com or do you blanket all or most of the other ones? Then you have to grab onto likely other cyberspace locations: A WordPress blog address, a Twitter handle, a Pinterest user name, setting up your Facebook page, and more. My favorite time-saver for this part of a search is Knowem.com, which will look through more than 500 different places across the Internet. If you want a consistent brand identity and you are too busy to deal with it, they will do it for you for the first 25 sites for $85, and more sites for more dough. So if you are starting a new company, heed these examples. Get the domain names that you need up front, as many as you care and dare. Use KnowEm and sign up for the other stuff too. Get your trademark application in quickly; you never know if someone is riding on your heels. And don’t forget to do a search every now and then, just in case someone has squatted on your brand. Back in November 2011, Yahoo’s then CEO, Carl Bartz was fired. I wrote about this event for ReadWrite.com (then called ReadWriteWeb). I thought it was worth recalling today, on the news that much of Yahoo’s core products has been sold to Verizon. FireEagle (location services), one of the early geo-location services, before there was Foursquare and so many others. Still around, barely. Closed in 2013. Hadoop (Big Data): Yahoo initiated and put up some heavy investment in this project. It is the go-to framework for big data and an integral part of Yahoo’s cloud businesses. Very much living and breathing, especially since it has been taken over by Apache. Delicious (tagging/shared bookmarks), one of the pioneers in tagging and early crowd sourced bookmarked recommendations of content, sold earlier this year to the founders of You Tube. Still here, but not top of mind. Seems to be gone for good, despite a series of corporate maneuvers. Yahoo Pipes (mashup tool), probably still one of the most useful development tools that anyone has ever invented. Pipes can manipulate RSS feeds and extract content from a variety of Web programming languages. Sadly, it was killed off in 2015. Yahoo Query Language (programming language), a programming language that works across Web services, somewhat akin to what SQL does with databases. Still supported in 2016. BOSS (build your own search service), open search and data services platform that can use Yahoo’s search technology. Wait, you didn’t know that Yahoo has its own search technology? Just kidding. Sill supported in 2016. Blueprint (mobile site creation), it was an early effort in building mobile Web sites. Closed in 2011. 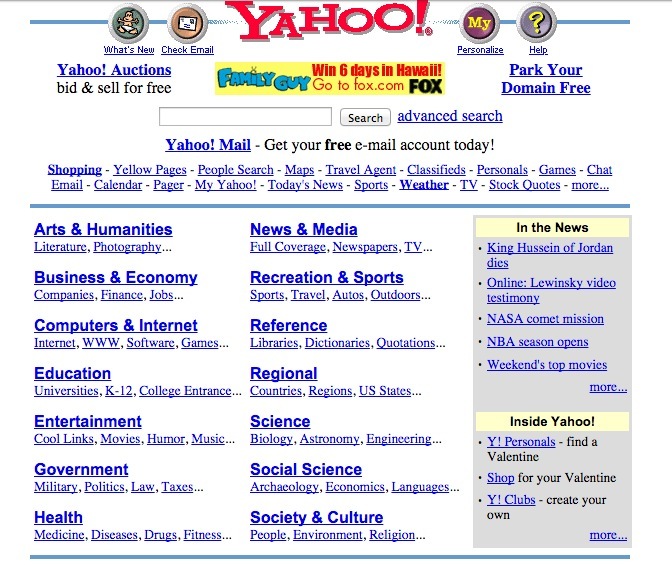 Yes, Yahoo was always a day late and a dollar short when it came to its webmailer, its IM client, and eventually its search service. But still, it has traffic. One Internet commenter said, “they should use their front page as a fire hose, projecting mainstream users onto these platforms” such as the ones mentioned above. Fair enough. And once upon a time, I thought their Yahoo Groups email list service was terrific: the last few years haven’t been kind to this service. And while my Yahoo email inbox seems perennially spam-filled, their financial and movie pages are top-drawer. Many comments around the ‘Net seem to label Yahoo as an engineering company that can’t get its products marketed or gain any adoption. One said “Yahoo lost its motivation, its excitement.” Now it is has lost its CEO. Maybe Bartz’ successor can see their way towards a better future. Sadly, that last prediction wasn’t to be. In my various retrospective pieces leading up to my 20th anniversary party of Web Informant, ironically one topic that I didn’t dive into was the evolution of the art form of the blog itself. 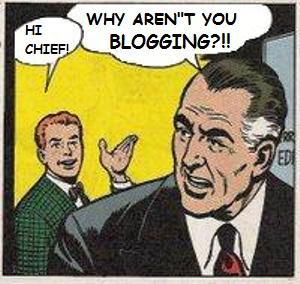 I guess I take it for granted that blogs are here to stay. Maybe you could chalk it up to my being so prescient, but I don’t want to take all the credit. Doing a great blog really comes down to doing just a few things well: telling a series of great stories, being true to your corporate voices, and delivering great and compelling content that will keep your audience coming back for more. I spoke to Lionel Menchaca last week when I was in Austin. He was the original blogger for Dell, now no longer with the company, but still writing about business blogging. “Focus on making [your blog post] content useful to anyone who reads it,” he says in a current post. He and I bemoaned how some business bloggers don’t understand these basic tenets, still. What a great corporate blog is NOT about is “controlling the message” or putting onerous workflow conditions in the way of the publishing process. I have written for many of these types of blogs over the years, and many of them have died because they tried too hard to toe the corporate line and forget these basics. But rather than be depressed by these failures, it shows that there is still lots of life left in blogging, even in 2015. Sure, a lot has happened in the past decade: social media, Instagram, and Twitter, just to name a few. But blogging is still the heart and center of any business communication strategy, and can help amplify these other tools. So take a moment to review my nine-year old article in Computerworld. It isn’t often that something that I wrote so long is still very much in force today. It is ironic, though, that a technology that has been around for so long is still so relevant.